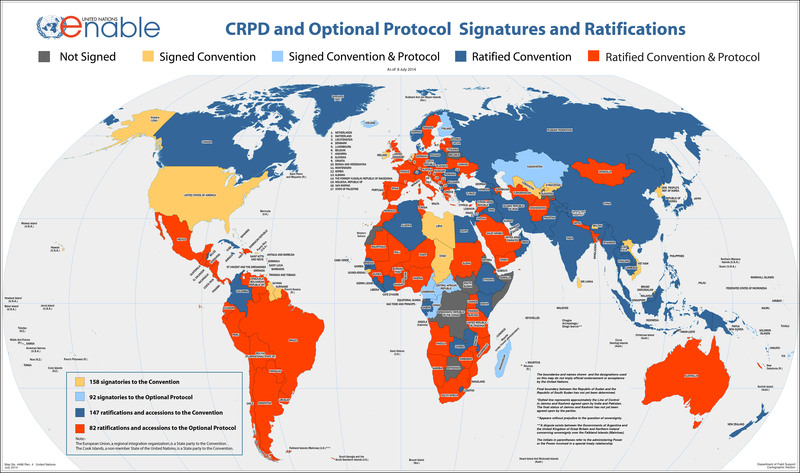 Today, the 3rd of December, we celebrate International Day of Persons with Disabilities. It was proclaimed by UN in 1992. 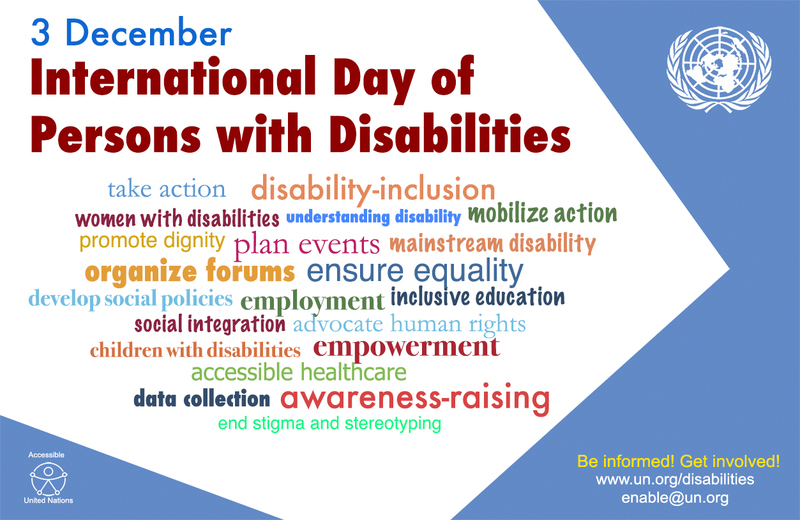 The observance of the Day aims to promote an understanding of disability issues and mobilize support for the dignity, rights and well-being of persons with disabilities. We have never thought before about these issues but since Inga was diagnosed with SMA almost 3 years ago we now realize how important is to provide equality and acceptance for disabled people. We are very lucky to be surrounded with kind and helpful people and the place we are living in is very well adopted and prepared for people on wheelchairs. 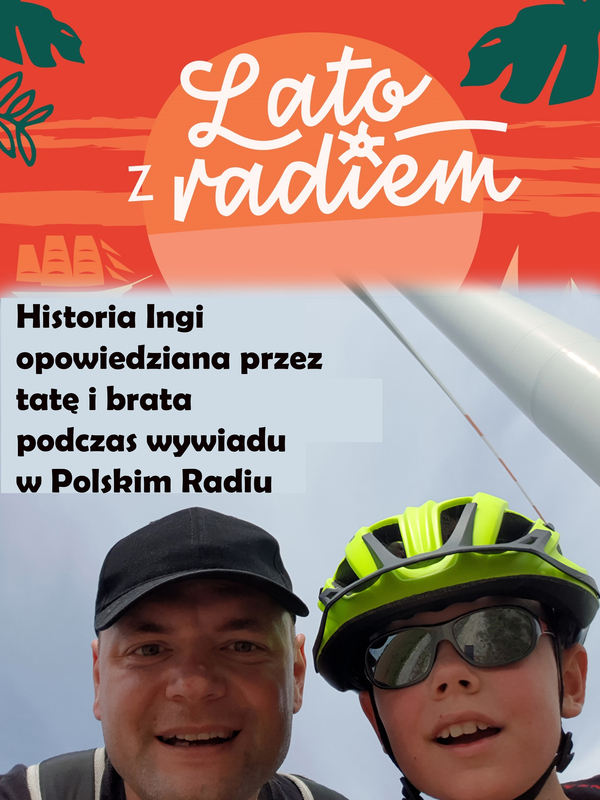 Last week e.g. 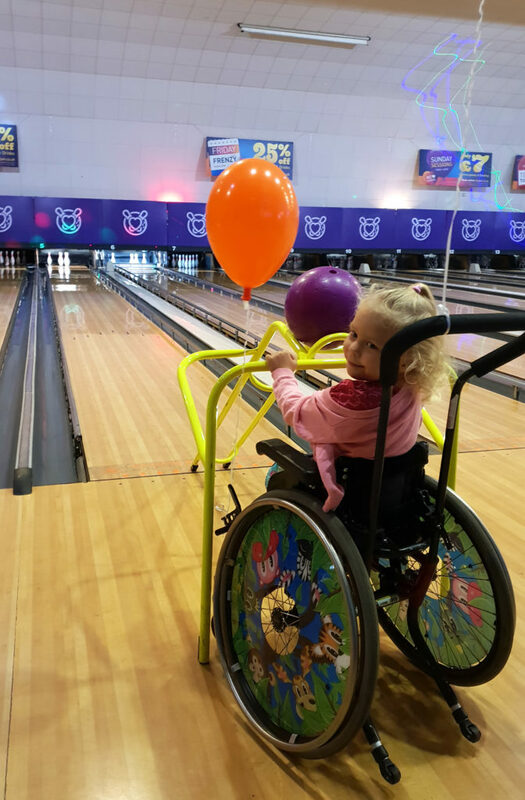 Inga took part in b-day party of her brother and cousin at bowling centre and she was doing very well! (see film attached). 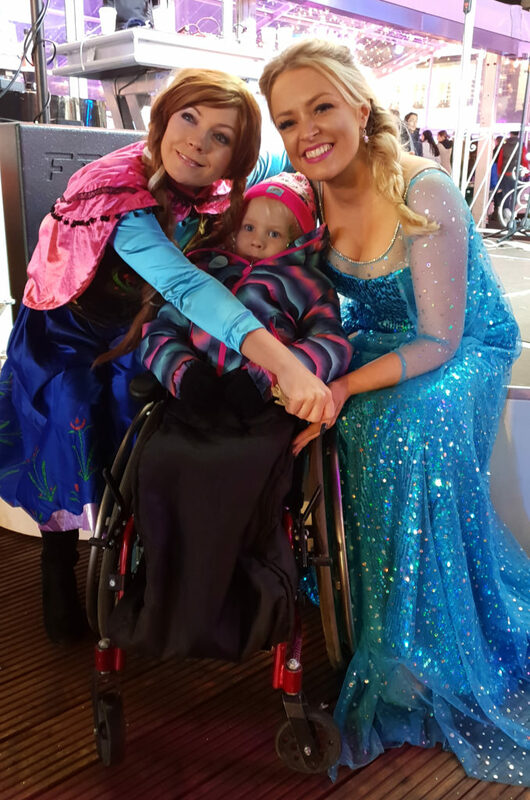 She has met Elsa and Anna as well – they came down from stage to have a picture together with Inga, who was over the moon! 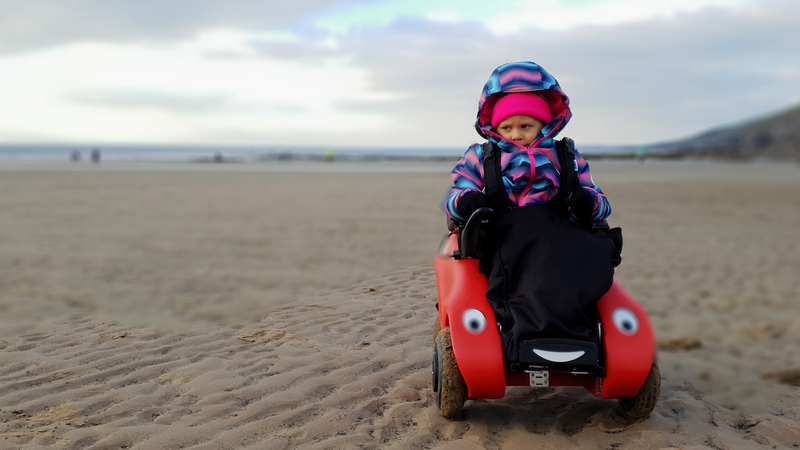 We have a “walk” on the beach – Inga used special road to go directly on the sand – she had great fun! Please – think about disabled people living around you today and how easly we can make their lives better by simple acceptance and friendship. Thank you!